King William I's parents were the last stadtholder William V, Prince of Orange of the Dutch Republic, and his wife Wilhelmina of Prussia. Until 1806, William was formally known as William VI, Prince of Orange-Nassau,[a] and between 1806 and 1813 also as Prince of Orange. In Berlin on 1 October 1791, William married his first cousin (Frederica Louisa) Wilhelmina of Prussia, born in Potsdam. She was the daughter of King Frederick William II of Prussia. After Wilhelmina died in 1837, William married Countess Henriette d'Oultremont de Wégimont (Maastricht, 28 February 1792 – Schloss Rahe, 26 October 1864), created Countess of Nassau, on 17 February 1841, also in Berlin. As eldest son of the Prince of Orange (of whom there could only be one at a time) William was informally referred to as Erfprins[b] (Hereditary Prince) by contemporaries (and later historians) in the period between his majority in 1790 and the death of his father in 1806 to distinguish him from William V.
When peace was concluded between Great Britain and the French Republic under First Consul Napoleon Bonaparte the Orange exiles were at their nadir. The Dutch Brigade was dissolved on 12 July 1802. Many members of the brigade went home to the Batavian Republic, thanks to an amnesty. 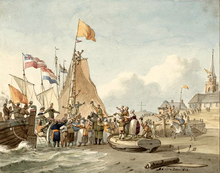 The surrendered ships of the Batavian navy were not returned, due to an agreement between the stadtholder and the British government of 11 March 1800.:329–330 Instead the stadtholder was allowed to sell them to the Royal Navy for an appreciable sum. In August 1830 Daniel Auber's opera La muette de Portici, about the repression of Neapolitans, was staged in Brussels. Performances of this show seemed to crystallize a sense of nationalism and "Hollandophobia" in Brussels, and spread to the rest of the South. Rioting ensued, chiefly aimed at the kingdom's unpopular justice minister, Cornelis Felix van Maanen, who lived in Brussels. An infuriated William responded by sending troops to repress the riots. 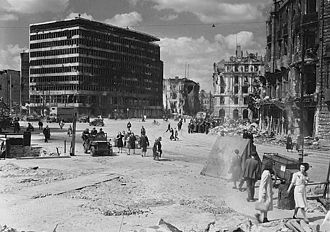 However, the riots had spread to other Southern cities. The riots quickly became popular uprisings. An independent state of Belgium emerged out of the 1830 Revolution. The next year, William sent his sons William, the Prince of Orange,[e] and Prince Frederick to invade the new state. Although initially victorious in this Ten Days' Campaign, the Dutch army was forced to retreat after the threat of French intervention. Some support for the Orange dynasty (chiefly among Flemings) persisted for years but the Dutch never regained control over Belgium. William nevertheless continued the war for eight years. His economic successes became overshadowed by a perceived mismanagement of the war effort. 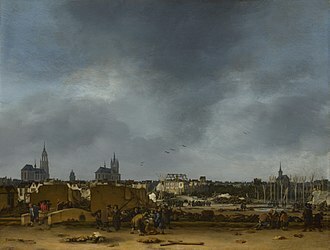 High costs of the war came to burden the Dutch economy, fueling public resentment. In 1839, William was forced to end the war. The United Kingdom of the Netherlands was dissolved by the Treaty of London (1839) and the northern part continued as the Kingdom of the Netherlands. It was not renamed, however, as the "United"-prefix had never been part of its official name, but rather was retrospectively added by historians for descriptive purposes (cf. Weimar Republic). ^ The family name changed from "Nassau-Dietz" to "Orange-Nassau" when John William Friso, Prince of Orange claimed the inheritance of Prince William III of Orange in 1702. ^ The States General were the sovereign power in the defunct Dutch Republic; the troops of the States Army had also sworn loyalty to the States General and not the Stadttholder. 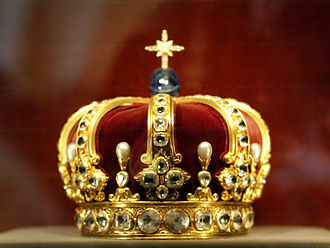 ^ This had become a courtesy title for the Dutch crown prince under the new kingdom. ^ a b c d e Bas, François de. Prins Frederik Der Nederlanden en Zijn Tijd, vol. 1. H. A. M. Roelants, 1887. Retrieved 31 March 2013. ^ a b c d Schama, Simon (1992). Patriots and Liberators. Revolution in the Netherlands 1780-1813. NewYork: Vintage Books. ISBN 0-679-72949-6. ^ a b c d e Bas, François de. Prins Frederik der Nederlanden en zijn tijd, Volume 2. H. A. M. Roelants, 1891. Retrieved 31 March 2013. ^ James, W. M. (2002). The Naval History of Great Britain: During the French Revolutionary and Napoleonic Wars. Vol. 2 1797-1799 (reprint ed.). Stackpole books. pp. 309–310. 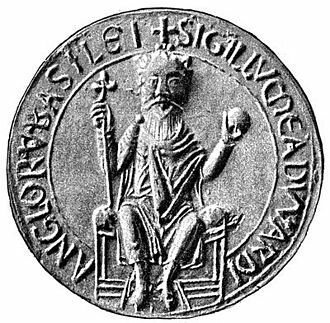 ^ Genealogie ascendante jusqu'au quatrieme degre inclusivement de tous les Rois et Princes de maisons souveraines de l'Europe actuellement vivans [Genealogy up to the fourth degree inclusive of all the Kings and Princes of sovereign houses of Europe currently living] (in French). Bourdeaux: Frederic Guillaume Birnstiel. 1768. pp. 17, 88. Wikimedia Commons has media related to William I of the Netherlands. Friederike Luise Wilhelmine of Prussia was the first wife of King William I of the Netherlands and so the first Queen of the Netherlands. Princess Wilhelmine was born in Potsdam and she was the fourth child of eight born to King Frederick William II of Prussia and Queen Frederica Louisa. Her upbringing was dominated by the regime of her great-uncle, Frederick the Great. On 1 October 1791, she married her cousin William of the Netherlands, son of Stadtholder William V, Prince of Orange, in Berlin. The marriage was arranged as a part of an alliance between the House of Orange and Prussia, but it was also, in fact, a love match, the young couple went to live at Noordeinde Palace in The Hague. In 1795, the French invaded the Dutch Republic, and the family went into exile. They first stayed in England, and from 1796 in Berlin, in 1806, Wilhelmine was again forced to flee from the French army, and settled under difficult economic circumstances in Poland. The princess returned to The Hague in the beginning of 1814, princess Wilhelmine became Queen of the Netherlands in 1815. In 1795 the William V, Prince of Orange-Nassau, lost all his possessions in the Low Countries because of the rise of the Batavian Republic, a client state of the French Republic. On May 23,1802, France and Prussia concluded a treaty in which Fulda, Willem V refused at first, but accepted the offer in favour for his son Prince Willem Frederik to become the ruler of the new formed principality. On October 22, Prussian troops occupied the Diocese of Fulda to secure the interests of the prince, the Reichsdeputationshauptschluss resolution on 25 February 1803, legalized the redistribution of the territories. Gerold Deanery of Bandern Dietkirchen Abbey The areas were reorganised into the four divisions Principality of Fulda, Principality of Corvey, County of Dortmund, the arms of the principality included the coat of arms of these areas. With the death of his father William V on 9 April 1806, however, on 12 July 1806 he lost the Lordship of Weingarten and the Nassau territories because of the formation of the Confederation of the Rhine. Frederick, Prince of Orange-Nassau was the youngest son of William V, Prince of Orange and Stadtholder of the Dutch Republic and Princess Wilhelmina of Prussia, sister of King Frederick William II. Commonly called Fritz inside the family, he chose a career with the Holy Roman Empire, he died of a fever while serving in Padua. 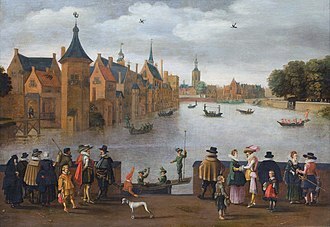 Prince Frederick, or Fritz, as members of his family called him, was born in The Hague during the Dutch Republic period. Frederick was related to the British royal family through both his father, who was the grandson of George II of Great Britain, and through his mother, who was the grandniece of George II. 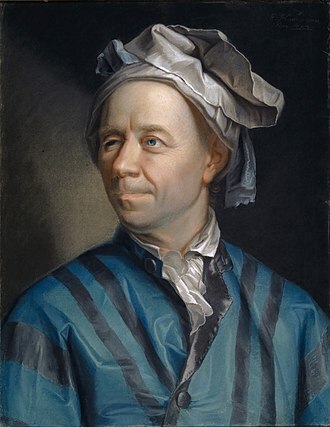 Even as a boy, he was bright and showed much promise in the military field, General Prince Frederick Stamford, mathematician Leonhard Euler. In 1793, he was called to war when the Republic had to be defended against the French and he was an inspiring leader and was usually in the forefront. Prince Frederick took upon himself the defense of the part of Brabant. Later, he served under his brother at Veurne and Menin. While fighting in the battle at Flemish Wervik, on 12/13 September 1793, Frederick suffered an injury when he was shot in the shoulder. In 1794, he was appointed general of the cavalry, in 1795 the prince wanted to withdraw troops from Friesland, where they were fighting the French and Dutch patriots, his father did not give permission. In January 1795, the Batavian Republic, where the stadtholder, William V took his entire family and fled to Great Britain, where George III, Williams first cousin, was king. On July 22,1795, Prince Frederik and his aide-de-camp, went to Osnabrück and he gathered Dutch officers and troops for a raid in the Batavian Republic. Back in England, Frederick fell in love with Princess Mary, the daughter of King George III. George, however not opposing the marriage, felt that the marriages of his three daughters, Augusta Sophia, and Elizabeth, had to be tended to first. Eventually, after Fredericks death, Mary married her first cousin, Prince Frederick went via England to Vienna, where he was given, in May 1796, the rank of Major General. Prince Frederick of the Netherlands, Prince of Orange-Nassau, was the second son of William I of the Netherlands and his wife, Wilhelmine of Prussia. The prince grew up at the court of his grandfather Frederick William II of Prussia, one of his tutors was Carl von Clausewitz. Aged 16, the fought in the Battle of Leipzig. The prince first entered the Netherlands in December 1813, as he spoke no Dutch, the prince was sent to Leiden University to get a further education. He was educated by Karl Ludwig von Phull in The Hague, based on a house treaty, Frederick was to inherit the familys German possessions upon his fathers death. After the treaty of Vienna these were no longer in the possession of the family and he instead was made heir to the Grand Duchy of Luxemburg. In 1816, Frederick relinquished this claim in exchange for land in the Netherlands, as a further compensation he received a yearly amount of 190,000 Dutch guilder. This made him the wealthiest member of the House of Orange-Nassau, with the money he bought a large estate in Germany, which made him the largest land owner from the Netherlands. In 1826 Frederick was appointed Commissary-general of the Department of War, in this office, Frederick reorganized the army on a Prussian model. 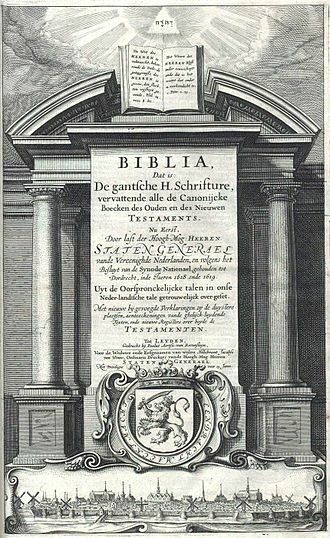 Frederick founded the academy in Breda and reequipped the army with modern weapons. In 1829 Frederick was a candidate for the Greek throne, but he declined because he did not want to be king of a country whose language, when the Belgian Revolution broke out in 1830, Frederick commanded the troops sent to Brussels to suppress the rebellion there. Frederick led these troops in several days of fighting in Brussels, Frederick took part in his brothers 1831 Ten Days Campaign in Belgium. When his father abdicated in 1840, Frederick withdrew from life to his estates at Wassenaar. The park had been out from 1815 onwards at the behest of Prince Hermann von Pückler-Muskau. In July 2004, Muskau Park was added to the list of UNESCO World Heritage Sites, upon the death of his elder brother in 1849, the country was left with a large debt. Frederick managed to pay off a million guilder to Tsar Nicholas I of Russia, the new King William III of the Netherlands did not want to inherent the kingship from his father, but Frederick managed to convince him to take up the position, offering to assist him. Countess Henriëtte Adriana Maria Ludovica Flora dOultremont de Wégimont was the second, wife of the first Dutch king, William I. Henriëtte dOultremont was one of five children of Count Ferdinand L. F. M, dOultremont de Wégimont of the House of Oultremont in Liège and his wife Johanna Susanna Hartsinck, daughter of Admiral Andries Hartsinck. 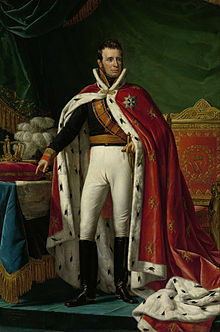 She was related to Charles John dOultremont, around 1840, King William found himself in discord with much of the Dutch population due to his refusal to implement demanded reforms. The resistance was so great—Henriëtte was Catholic and a native of Belgium, after abdication, he styled himself King William Frederick, Count of Nassau. He married Henriëtte on 17 February 1841, he was 71 years old at the time, she was 47, and she had received the Dutch title, Countess of Nassau on 7 February 1841, by which she was known during the couples subsequent retirement in Berlin. William I died two years later, in 1843, because of her devoted care for her elderly husband, the Dutch royal family awarded her an allowance and a castle near Aachen, where she died in 1864. Born in Berlin, she was the youngest child and second daughter of King William I of the Netherlands by his wife Wilhelmine of Prussia. Her elder sister, had died in 1806, long before her birth and her two older brothers were the future King William II and Prince Frederik of the Netherlands. In The Hague on 14 September 1830, Marianne married her first cousin Prince Albert, the union produced five children, married on 18 May 1850 with the Georg II, Duke of Saxe-Meiningen. He was either stillborn or lived only a few hours, married Princess Marie of Saxe-Altenburg. Alexandrine, married on 9 December 1865 to Wilhelm of Mecklenburg-Schwerin, in 1845 she left her unfaithful husband and began to live with her lover and former coachman Johannes van Rossum. On 28 March 1849, Marianne and Albert of Prussia were formally divorced, seven months in Cefalù, she gave birth to her only child with van Rossum, a son, called Johannes Willem van Reinhartshausen. After this, the courts of The Hague and Berlin broke all contact with her, Marianne and their son spent the following years in Italy and from 1853 at Weißwasser Castle near Jauernig. In 1855 Marianne bought Schloss Reinhartshausen in Erbach, Rheingau, an unusually progressive woman and cultural visionary, she made the Schloss Reinhartshausen a cultural center of the Rhine. Marianne reconstructed part of the Schloss as a museum to house her collection of 600 paintings, the museum is known today as the Festsäle. The Schloss was always vibrant with many guests and Marianne encouraged young artists providing them accommodation, of her treasures,180 paintings,110 drawings including watercolors and gouaches, as well as various sculptures can be found there today. On Christmas Day of 1861, her son Johannes Wilhelm died of pneumonia in Reinhartshausen at age twelve, to honor him, Marianne donated 60.000 Gulden to the Erbacher locals for a piece of land on which a church was to be constructed. The church was completed and Johannes buried under its altar, the church, named after Johannes, is today’s Protestant church in Erbach. Twelve years later, on 10 May 1873, Johannes van Rossum, Mariannes partner for almost thirty years and he was buried next to his son. Electoral Hesse and the Nassau lands in the earl 19th century showing the multiple divisions based on family lines. Gozdzki – de Nassau Palace in Warsaw that belonged to wealthy Karolina Gozdzka (1747–1807) and her husband Charles Henry de Nassau-Siegen (1745–1808). Anonymous portrait of Prince Frederick, c. 1790. A portrait of Dutch princely family painted by Pieter le Sage in 1779. Frederick is on the left, embracing his mother. 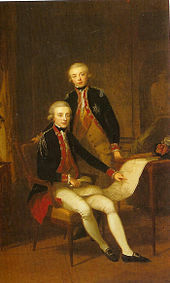 An anonymous portrait of Frederick (standing) and his elder brother Willem (sitting), painted about 1790. Johannes Wilhelm von Reinhartshausen, the son of Princess Marianne and Johannes van Rossum. Princess Marianne of the Netherlands in later years (ca. 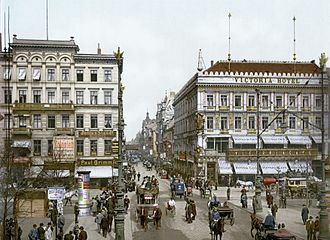 1880). Queen Wilhelmine of the Netherlands in old age, by Jan Baptist van der Hulst, 1833.